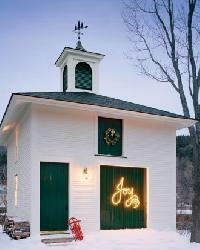 These ideas will have your whole house glowing for the holidays. 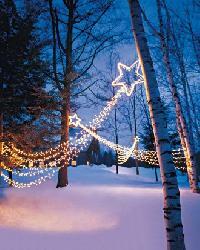 In a childs room or a hallway, a string light tree is as festive as an evergreen. Use adhesive hooks to hang mini lights adorned with felt star ornaments that twinkle. 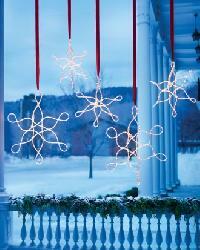 Hand twist rope lights, using our template as a guide to create glimmering oversize ornaments. 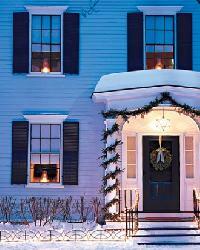 Hang them from their cords (disguised with ribbon) at varying heights along a porch or under the eaves of the house. 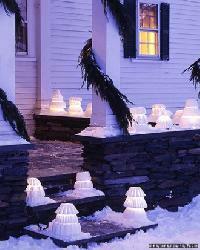 Extend the season for garden edgers by stringing them with lights to accentuate their curves and then lining a walkway with them for a welcoming look. These flowers brighten the coldest of winter nights. 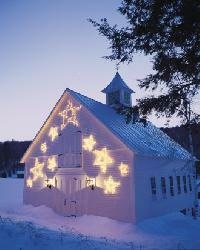 Bring a bit of the heavens down to snowy earth with stars fashioned from ordinary garden stakes. These conical Christmas trees are crafted from tomato cages. 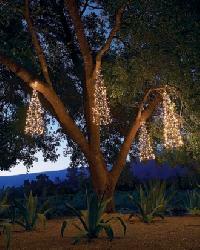 Here, they are hung from the boughs of an oak and illuminate the agave, lending a touch of winter to an arid climate. 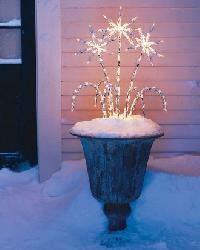 To create a striking outdoor lighting display, string several of these shooting stars in your yard. 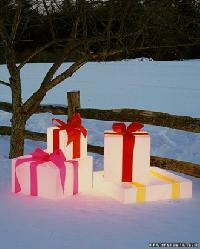 Lit from within, these presents suggest magical snow sculptures. These fire and ice decorations will actually make you long for snow. Write a message in lights to share with all who pass by. Use our template for the word Joy, spell out another sentiment, or create your own shape, such as a star or a tree.